Pioneers in the industry, we offer solar street light and gated community project sunlit solar led street light from India. 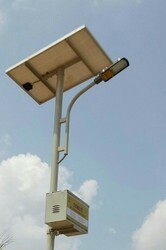 Known for its environment-friendly nature and its low consumption of energy, the offered Solar Street Light is known to be amongst the finest options available in the market. Owing to the finest raw materials and modern machines used in its making, the offered product’s functionality and service life never deteriorates. 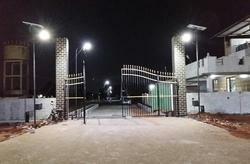 Solar LED street lights for gated community villa projects, where they can avoid UG cables. They can save the cost of the cables and more over there is no electrical charges, runs with no running cost. Works automatically when ever it becomes dark the lamp get's "ON " and if it becomes bright the lamp switches 'OFF'.